Stan here, and today we will talk about the very specific topic - trading against the “weak money”. There’s been much said about “smart money”, “big market participants” and other “strong forces” of the market, which we’d like to be in sync with. 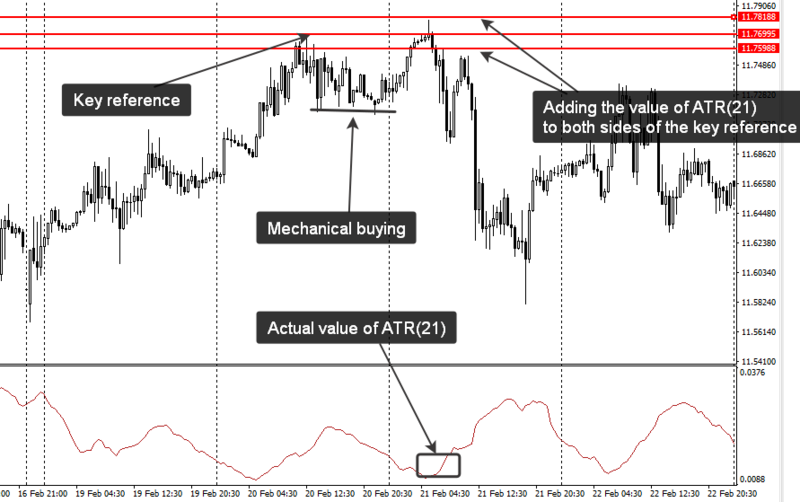 However, such a situation is not always visible, and we have to monitor for short-term imbalances in the price action. Even if you want to follow the “smart money”, you’d still need to manage your risk, capturing short-term opportunities - at least to identify a good moment for entry. That’s what we are going to talk about in this article. How does the “weak” move occur? By “weak” moves, I assume ones which don’t have any support from the market: neither from big market participants nor from the “crowd”. Those moves may be visible and look like something meaningful, yet they are generated by mechanical trading engines. In case no other traders are ready to support the game, the “weak” move has very decent odds of being faded very soon. 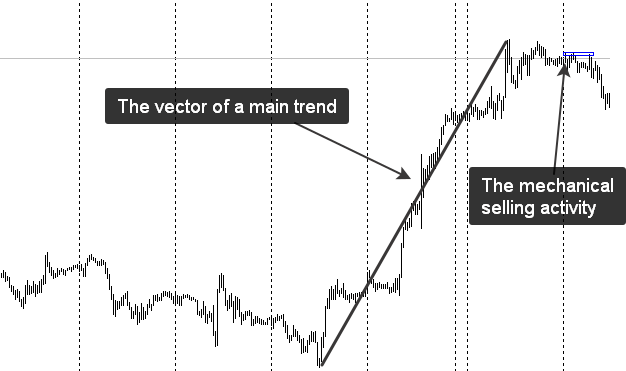 Smart traders know that and use the mentioned moves for building short-term counter-trend intraday trades with very limited risk. 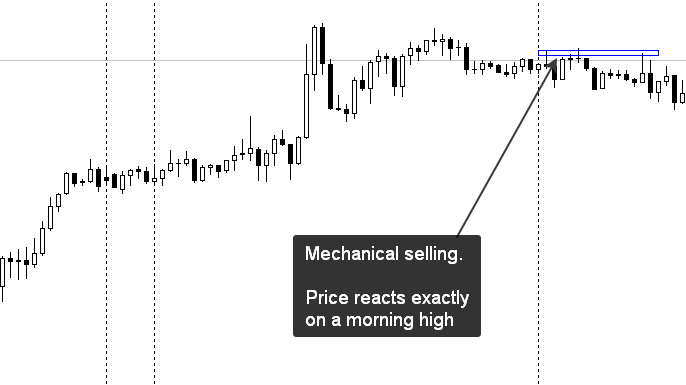 If you see price reacting exactly on a previous day’s high (low) or a high (low) of the recent trading session, odds are so that you are dealing with the” mechanical reaction”. In other words, a quick trading algorithm could have been involved in the action, but unlikely there was a trace of a big time frame player. 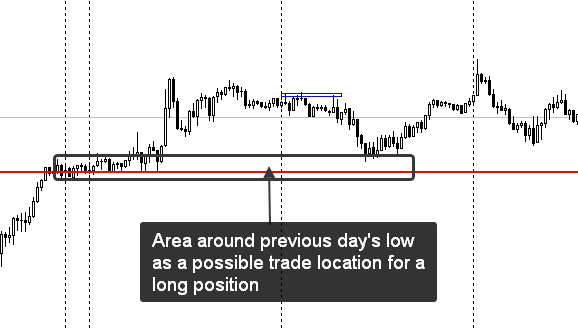 Stop-loss, in this case, may be placed beyond the area, which you build with the help of ATR(21). The lot size depends on your money management rules and should be calculated before you enter a position. 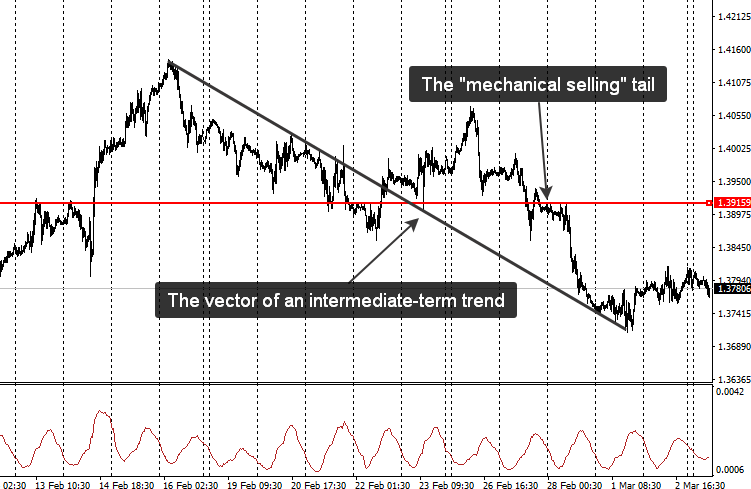 Sometimes it is not wise to oppose the mechanical selling or buying. You may already guess, that I’m talking about going against some intermediate-term trend. 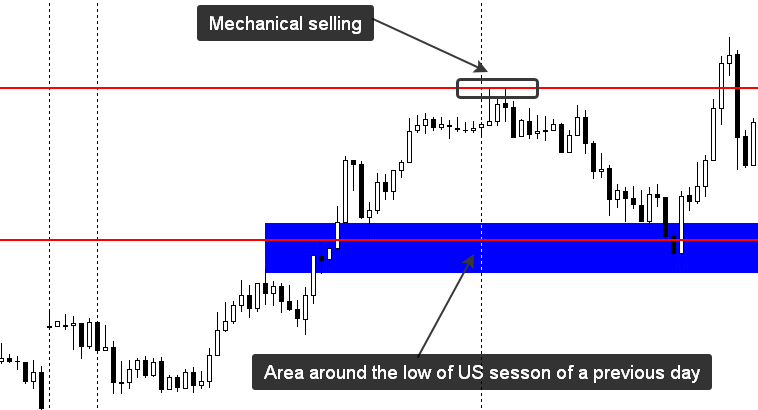 If you had one on the chart, it’s not recommended to go against the mechanical activity - such a trade might look as an easy one, but in fact, it’s not. Just take a look at the example below. Price was declining very quickly and in spite of a mechanical “selling tail”, there was a notable continuation after that. “Weak money” were acting under the protection of a strong trend (big money), that’s why it was unwise to oppose them back then. So, be careful and manage your risk! In case you have any questions on the material published here, feel free to send me a request from my blog (accessible by the link in my account). Trading the financial markets is associated with increased level of risk. Past performance is not indicative of future results. All materials are provided for educational purposes only and by no means may serve as a trading or investment advice. Is Momentum Trading Draining Your Account?